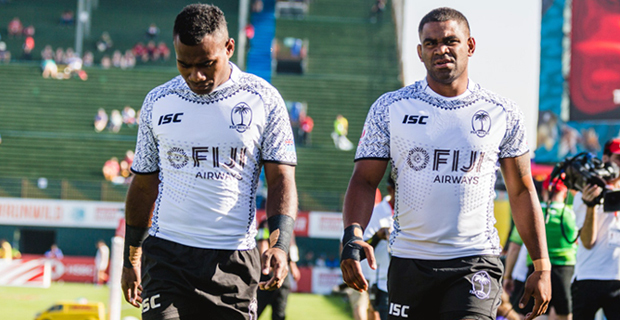 Fiji Airways Men’s National 7s team playmaker, Vatemo Ravouvou is not part of the current training squad and will not be featuring in the Hamilton and Sydney 7s due to disciplinary issues at the Cape Town 7s. This has been confirmed by FRU Chief Executive Officer, John O’Connor who says at the moment it is not sure when Ravouvou will join the team again. O’Connor says the alleged disciplinary issue is alcohol related. Meanwhile, O’Connor also confirmed that they are awaiting the outcome of Amenoni Nasilasila’s court case before deciding on his future with the team. Coach Gareth Baber had earlier highlighted that there are players that will be contesting for the playmaker’s positions as these two key playmakers will be out for a while. Baber has said players that are contesting for the playmaker’s position include Napolioni Ratu who had earlier joined the training side for the Oceania 7s, Terio Tamani and Waisea Nacuqu.